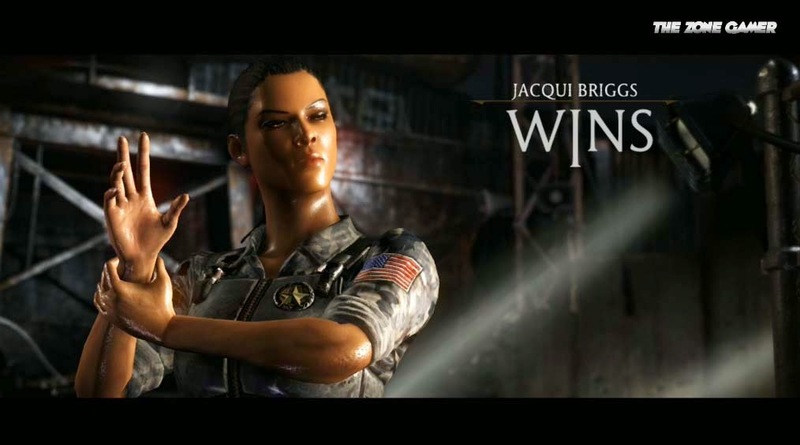 Mortal Kombat X new characters have been a breath of fresh air but none have stood out like Jacqui Briggs. 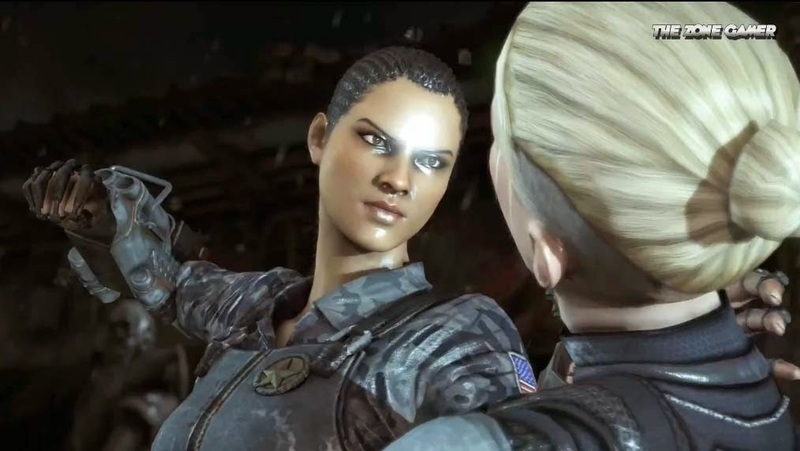 Jacqueline Sonya "Jacqui" Briggs first made her appearance in the Mortal Kombat X comic series and her playable debut in Mortal Kombat X. She is the daughter of Jax and a close friend to newcomer, Cassie Cage. Jacqui's a slender African American female with dark brown eyes, long hair which is styled in cornrows braids and a small ponytail. Her casual attire as seen in the MKX comic consists of a white top with black pants or purple shorts. Her original in-game attire is different as she sports full military camouflage under regular body armour with the Special Forces badge on it, and a utility accessory around her waistline . Knee pads protect her knees and she wears machinelike high-powered gauntlets on both her arms, re-mindful of her father's mechanical arms. Jacqui is a skilled lower-ranking Olympic boxer, able to get down and dirty with Cassie and knock out a grown man with her bare hands. Her brawling skills were further improved through Special Forces grooming. She uses a pair of electronic gauntlets that largely heighten her physical strength and is able to fire plasma energy, shotgun rounds, or rockets, depending on her variation and she also uses a submachine gun in her Full Auto variation. Jacqui is the only associate of her team to not have any supernatural powers or items. She's also joins the list of newest black females to feature in a fighting game. I love Jacqui, wish they had more costumes for her. Mortal Kombat X has some the best newcomers this gen, I'm not feeling Tekken's current roster but with characters like Jacqui i'm really feeling this game. I have to agreed even as an avid fan of the Tekken series. So far the newcomers in Mortal Kombat X has been better than the new characters revealed thus far in Tekken 7. 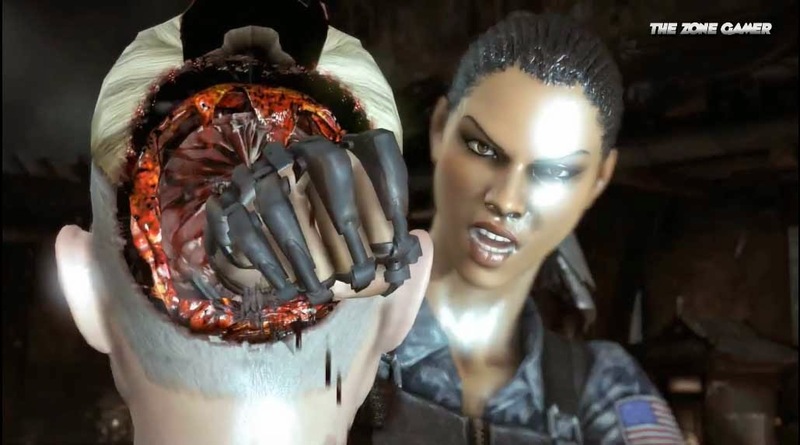 Nothing's touching Jacqui unless they introduce a proper playable black female character. Mortal Kombat x didn't disappoint especially the roster, glad they bought fresh young blood, Jacqui briggs is a beast just like her father. Jacqui needs more shine, i'm glad to see her featured on the channel and hope to see more Mortal Kombat x character videos including Tanya. Love this character, it was a great idea to introduce the older characters off-springs or we might have not gotten Jacqui.